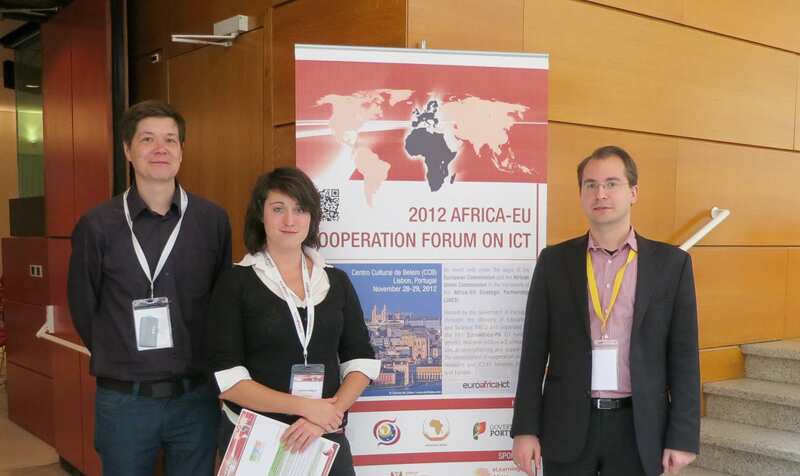 From November 28-29 ICT4D.at was participating at the 2012 EU-Africa Cooperation Forum on ICT in Lisbon, Portugal and successfully presenting the ICT4D.MZ project to the community of experts, researchers, business people and policy makers in the context of ICT and EU-African partnerships. 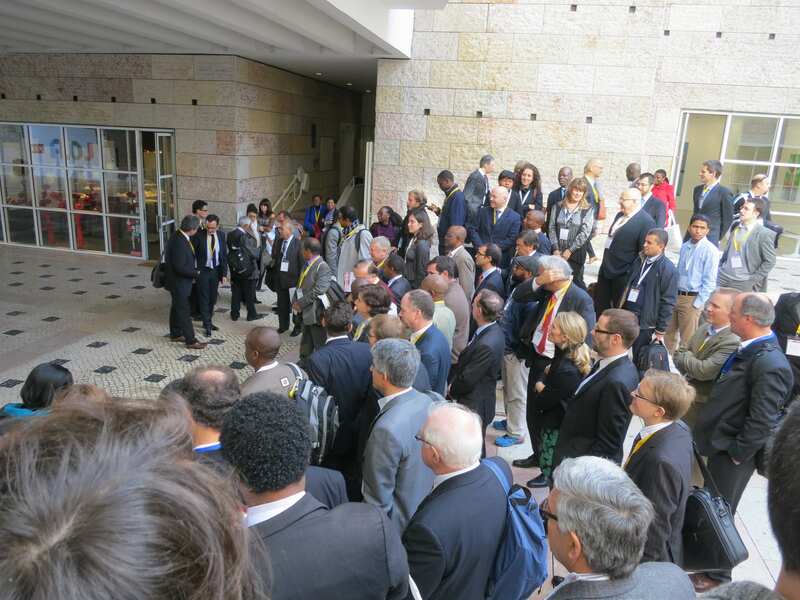 The hashtag for the event was #EuroAfricaICT2012 and we covered the main panels and discussions live via our Twitterfeed. The steady stream of acronyms, abbreviations and ICT lingo fits nicely in the limited microblogging format and it was a good way to make sense of all the information coming up. The twitterwall behind the speakers’ panel was good for grasping the main talking points, but a bit of a distraction when presented during an ongoing session. It also functioned as an indirect Q&A-session for the audience to bring up issues not covered in the session. Thus the meta-reality feedback loop was complete. The informative Welcoming speeches included talks by Commissioners from both the African and the European Union (Moctar Yedaly and Zoran Stančič). A Keynote Address by Ilari Patrick Lindy from the World Bank Institute draw our attention to an interesting study on eTransformation of ICT in Africa. Harry De Backer from the EEAS (European External Action Service) was giving an overview in how ICT funding has changed in the recent years. We were happy to find out about other innovative projects in the field, such as the KINU Hub in Dar es Salaam, Tanzania co-founded by Catherinerose Barrett and the *iHub in Nairobi, Kenya presented by Jessica Colaço. Furthermore we were happy to meet Walter Mayer from ProGIS Software, an expert in Geo-information system and Felipe Batista from ARCTEL-CPLP, the Association of Communication and Telecommunication Regulators in the Community of Portuguese Speaking Countries. We can also proudly report, that we have witnessed the official launch of the UbuntuNet Alliance and Africa-Connect. The whole event was executed flawlessly by the very welcoming hosts, a rich experience and a overall nice time in the beautiful city of Lisboa. Obrigada! Obrigado!